Owing to the wide experience of this domain, we are instrumental in rendering Printer AMC Service. Creative Copiers was commenced in the year 1994 as a Sole Proprietorship based firm. 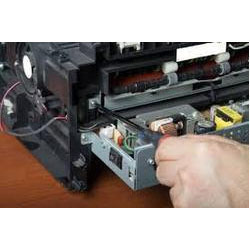 We are instrumental in supplying and trading a wide range of Printer Spare Parts, Digital Printer and Photocopier Machine. These products are provided as per the customers demands spread all India. Apart from these, we are also rendering Printer Rental Service and many more. The service is known for the quality, reliability and flexibility.